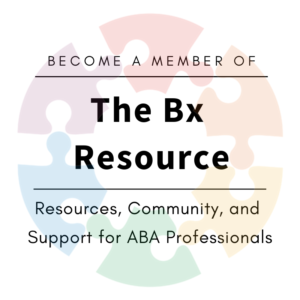 What is a “prompt” and why is it part of an ABA program? Prompting is a strategy used to correct the learner and still increase learning. It is usually placed after the instruction and before the response. Why prompt and not just correct them once they’ve made a mistake? Here’s why: I have a terrible sense of direction. If I’m driving somewhere and get lost and take a few wrong turns, as long as it got me where I need to go, I will likely take the same convoluted path the next time. Not because it’s the shortest but because it’s the most familiar. Our students are the same – we want them to learn the shortest path to the correct response and not another, incorrect chain of responses (even if it gets them ultimately to the correct response). Being corrected it also a situation that students can become dependent on. In ABA, we prefer to use a principle called errorless learning. We help get the student to the correct response before an error occurs. For example, if we ask the student to find a picture of a table, we might gesture to the correct card before an incorrect response. They also help kids learn by making them successful. Instead of a student feeling intimidated by difficult work, they can feel like we are helping them through it with some support. 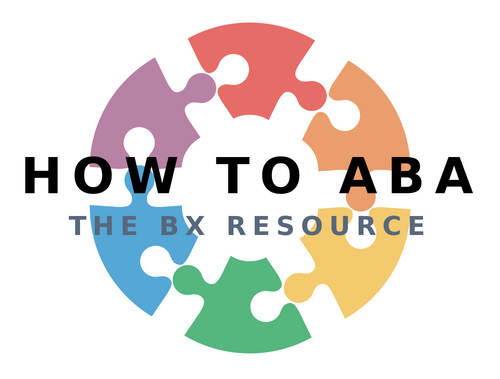 Whether or not to incorporate a prompt into a teaching trial would be up to the discretion of the BCBA. Least-to-most – Moving up the ladder to increase learning: Some skills benefit from a prompting style where we start out with the least amount of prompting possible and then increase as necessary. For example, when we’re teaching a child to follow the instruction to “come here”, we would give the instruction and then provide the least amount of prompting necessary to have them follow it. Most-to-least – Moving down the ladder to increase independence: This is when we start out with the most amount of prompting and fade as the student is successful. This is often used in teaching independent skills. An example of this would be learning to brush teeth – we might start with hand over hand and then fade the physical prompt as required or they become more independent. What is the Prompt Hierarchy? Physical prompts – going in and physically guiding the student through the response. It can be full physical or partial physical or even a gesture. For example, we might teach printing by starting with a hand over hand prompt over the learner’s hand and then fading to hand over wrist, then hand over elbow, and continuing to fade as the student is more successful. We might also use this in teaching life skills where we would stand behind the student to guide them through a cooking task and then fade ourselves out as they’re successful. Model prompt – showing the learner what to do before they do it. We use modeling a lot in teaching social skills. We would either have a peer or ourselves model the appropriate social behaviour and then have the student copy. Gesture prompt – this would involve gesturing or pointing to the correct response as you’re giving the instruction. For example, if you ask the student to “Find the car” in an array of 5 cards, you would point to the picture of the car to prompt them towards the correct response. A gesture prompt can be easily faded by using a time delay or fading your finger further and further back. Verbal prompt – this is usually the least preferred method of prompting because a verbal cue is SO hard to fade. Which brings us to my favourite type of prompt…. Visual (text/picture) prompt – putting prompts into pictures or texts is something we all do – grocery lists, to-do lists, calendar alerts, etc. It’s a great way to supply the learner with a visual support in a way that’s very natural and easy to fade. For example, if we were teaching a student to answer “What does a teacher do?” we might write out, “teaches kids” on a text cue. This can act as a prompt and then can be faded by either taking away some letters or turning the cue upside down (so it’s blank). It is very important to be able to fade prompts appropriately because we want to foster independence. It can be a tricky balance between prompting and independence but we like to advise getting the prompt out as quickly as possible. Unless we are specifically using a most-to-least prompting style, our recommendation is usually to fade the prompt within session. Use the least amount of prompting to get the student the most amount of success! Unless a prompt is part of the teaching procedure, we want to be careful not to reinforce responses that needed prompting. Prompting can be so subtle and the child can learn to even be in tune to our facial gestures. For example, if the current target is for the child to select the “red car” independently, and he needs you to point to the correct item – don’t provide reinforcement. You can prompt so that he learns the correct response and then come back to it another time.